Anhur is one of the playable Gods in SMITE. This applies to Anhur's Basic Attacks, Impale, and Desert Fury. Has a range of 55 and a knockback distance of 40. Can stun if the enemy is pushed into player-made deployables, such as Shifting Sands' obelisk. While the tooltip states it does 60 damage at rank 1, it actually deals 70. Has a range of 70. Ahnur is son of Ra and is Bastet's brother. Anhur along with Ares, Artemis, Cupid and Sobek are the only gods from SMITE Closed Beta that have yet to receive a major remodel. Anhur was voiced by the famous voice actor Christopher Sabat, known for his role as the voice of Vegeta in Dragon Ball Z.
Christopher Sabat also has voiced He Bo, Moonlight Love Chang'e's bunny, Countess Chang'e's bunny and Zeus. One of Anhur's jokes, "Everything the light touches is mine! ", is a reference to a scene from the movie The Lion King. One of Anhur's Low Health quotes, "What do you say to death? Not today! ", is a reference to a quote made by Syrio Forel, a character from the American fantasy drama television series Game of Thrones. 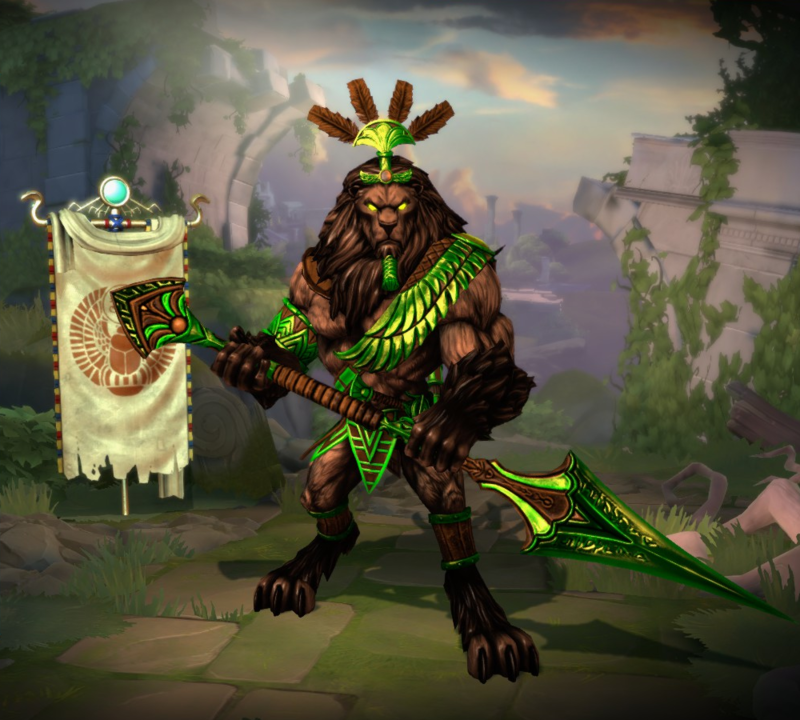 This is one of the few recolor skins that were released after the god was released. 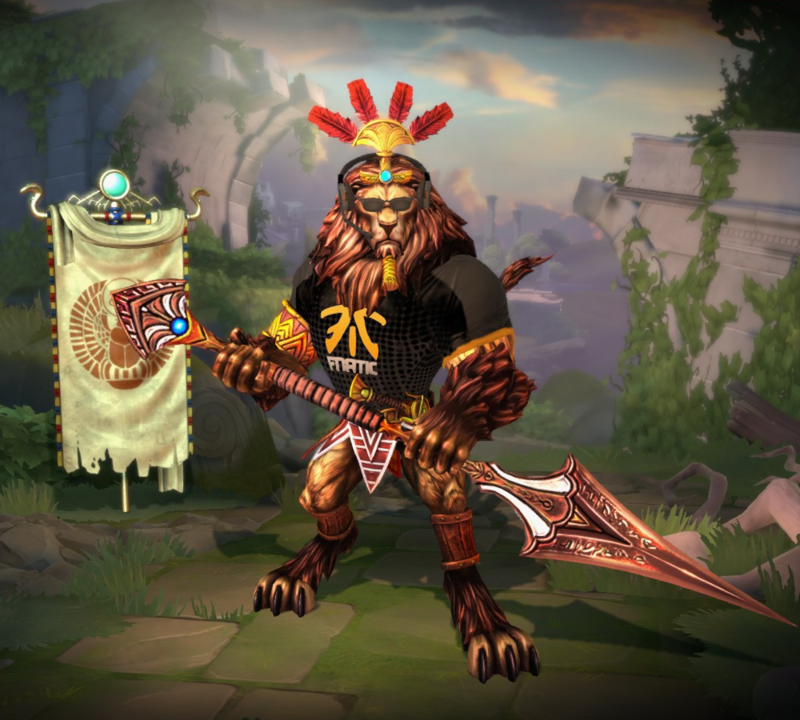 Anhur's Olympian skin was made to commemorate the 2012 London Summer Olympics and it resembles the Javelin Throw event. This skin shares its theme with Red Star Athena, Winter Olympian Athena, Get Served Freya, Jaguar Footballer Xbalanque, Football Star 2014 Xbalanque and Weltmeister 2014 Xbalanque. 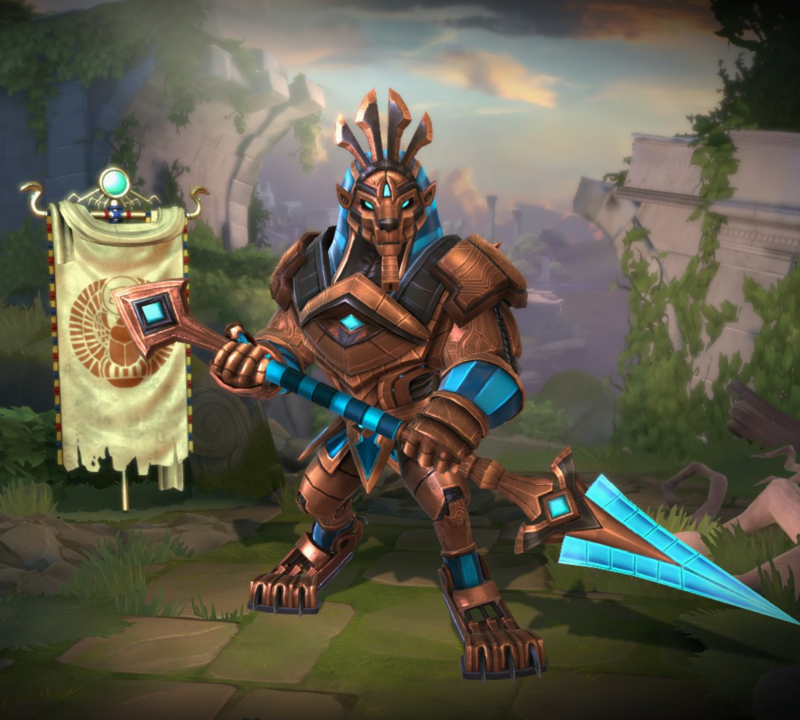 The actor who did the voice of this skin, Ian Sinclair, also voiced Tyr. This skin shares its theme with Lord Slashington III Fenrir, Sir Pentsworth IV, Esq. Kukulkan, Earl Wubert St. Kongfrey Sun Wukong and Baron Frostchild Ymir. This skin is a reference to the Stargate series. 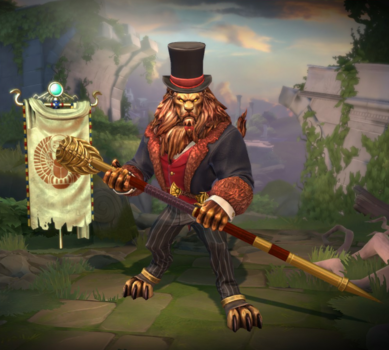 This skin was part of the Celestial Voyage event. His joke line "Everything the light touches is ours for the taking. As for the shadows... you must never go there." is a reference to a scene from the movie The Lion King. Default Anhur also have a joke line referencing the same scene. 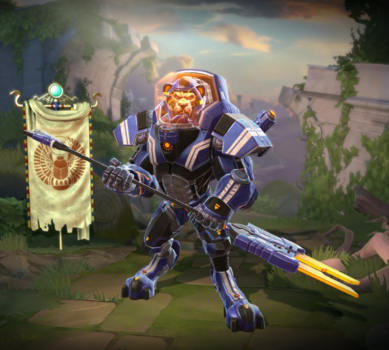 This skin shares its theme with Star Tamer Bastet, Star Eater Khepri, Star Strike Neith, Sunstar Ra and Star Scribe Thoth. This skin was the final reward for the event Summer of Smite 2015. This skin could also be obtained as a rare roll from the Fnatic Chest. 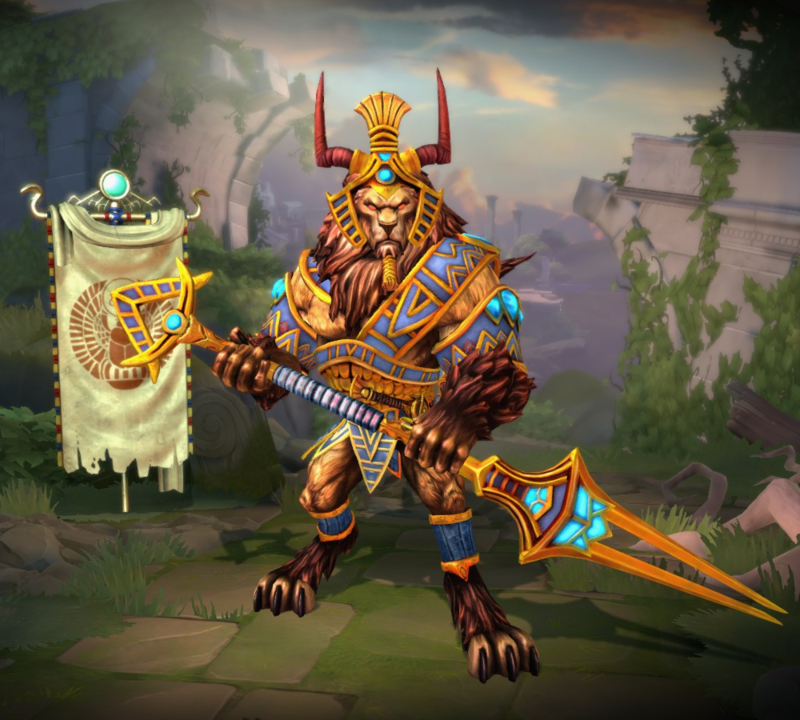 This skin was awarded to those that unlocked seven items from the Summer of Smite 2015 event. This skin can only be purchased from a Clan Store. Increase base damage from 60/85/110/135/160 to 70/95/120/145/170. Increased Damage from 50/90/130/170/210 → 70/110/150/190/230. Decreased Cooldown from 90s → 75s. Fixed a tooltip issue where Anhur's Impale mana cost was displaying the old value. Increased physical protection debuff from 15 → 20. Decreased Mana cost from 70/80/90/100/110 → 70/75/80/85/90. Corrected an issue where Anhur was only doing half Physical Power Scaling to any enemy hit past the first. Increased Physical Power scaling from 15% to 20% per shot. Fixed ground targeter only highlighting the first target. Fixed the spear appearing below the pedestal in the match lobby. Added missing footsteps on Diamond skin. Basic Attack - Made hit fx smaller. Desert Fury - Reduced opacity on the hit fx. No longer reduces damage by 50% after the first target hit. Attack Speed per level increased from 1.5% to 1.7%. Bonus damage is no longer removed from targets immune to the slow effect. 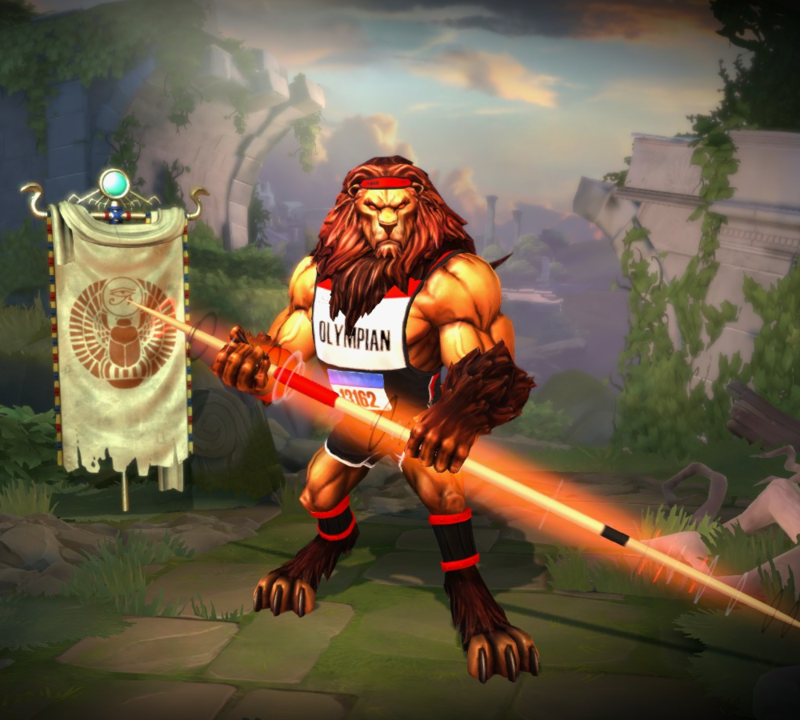 Updated targeter for Olympian skin. New loading screen card and thumbnail for default skin. An issue has been fixed where his basic attack was being considered a hard CC for checking against items like Magi’s Blessing. All of Anhur’s spear attacks now reduce the enemy target’s physical protection by 15 instead of reducing the enemy target’s physical power by 15%. Some updates to 3D Model and FX. Ground targeters have been given visual improvements. The base damage per spear of his ultimate has been changed from 75/95/115/135/155 to 60/85/110/135/160. The physical power contribution has been increased from 50% to 60%. This page was last edited on 7 April 2019, at 01:10.